Brooklyn-based David Longstreth and his brother Jake Longstreth began tinkering in 2002 during David’s time at Yale. The seeds of those earliest explorations would form under the ongoing moniker Dirty Projectors in 2003. For a decade, Dirty Projectors have existed (with more than a few membership changes) under London-based independent label Domino, offering seven LPs and whetting the appetites of post-punk, alternative R&B and indie rock aficionados. Dirty Projectors stump genrefication, with influences from folk and prog rock to experimental and hip-hop. Their sound may be experienced as achingly hipster, the aural equivalent of avocado toast—that dish that no one wants to admit they love on a Sunday brunch and everyone angsts about adoring. As with prior albums, this newest addition may elicit a few stubborn eyerolls at moments, but ultimately leads to a tapping foot and bobbing head of overall approval. Lamp Lit Prose is the eighth installment in the Projectors’ catalogue, starting funky and fun with “Right Now featuring Syd.” The wackiness amps up on the second track, “Break-Thru,” an ebullient and glitchy ode to the manic pixie dream girl and an undeniably enjoyable early bite of ear candy. Lamp Lit Prose is full of featured artists across the indie roster, including Portland-based Dear Nora and Fleet Foxes’ Robin Pecknold. The addition of several skilled collaborators is an unsurprising and even compulsory step for a band deep into their career, and in this case, a bit overbaked, occasionally detracting from the music rather than notably enhancing it. This is especially present in the fourth track—R&B funk ditty “I Feel Energy”—and in consideration of the brevity of this 10-track album. So many collaborators feels a bit braggadocios and reflects the bands veteranship and arrival, but it is borderline needless. To its saving grace, the band keeps the featured artists aptly background in most of said tracks, somewhat mitigating the commotion of too many cooks. Lyrically, Lamp Lit Prose is clever and well-hewn, with linguistic aptitude that is not excessive. Imagery, metaphor and analogy are well integrated into the album, as the title would smartly suggest. 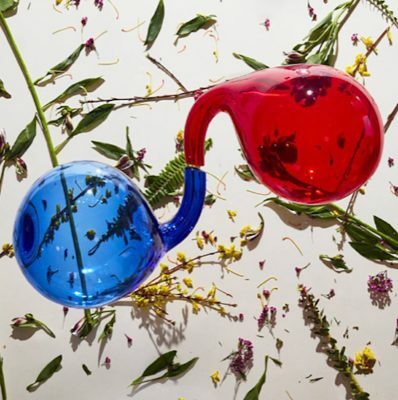 An overall tonal narrative is hard to define, which seems appropriate for the eclecticism of the Dirty Projectors’ sound. There are truly no clear containers that the Projectors belong in, only those into which moments and aspects of their music can be crumbled up and sprinkled. Tracks like “Blue Bird” display this otic esoterica expertly. “What Is The Time” hands off a Motown delight with whimsical sampling and funkadelic falsetto, neatly one of the strongest tracks on the album. “You’re The One (feat. Robin Pecknold & Rostam)” and “(I Wanna) Feel It All (feat. Dear Nora)” are the wrapping tracks of Lamp Lit Prose, finishing on a slightly dulcet, acid-jazzy vibe.